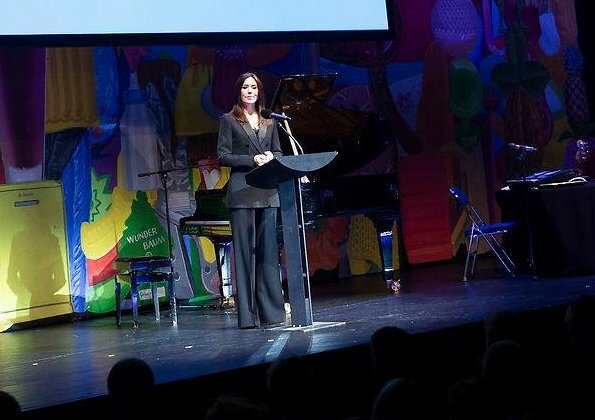 On February 04, 2019, Crown Princess Mary of Denmark presented Danish Cancer Society's 2019 honor award to Finn Tang, Peter Høgsted, Dirk Fust, Henrik Burkal, Per Bank and Frederik Nielsen with a ceremony held at Royal Danish Playhouse in Copenhagen city of Denmark. 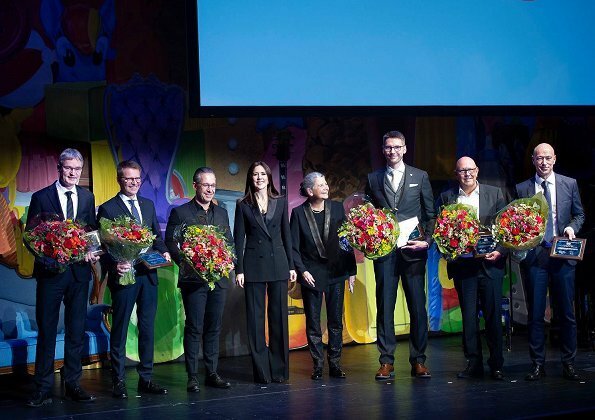 The award which is presented on the occasion of February 4 World Cancer Day is given to a person or a group who made extraordinary contributions to fighting against cancer. 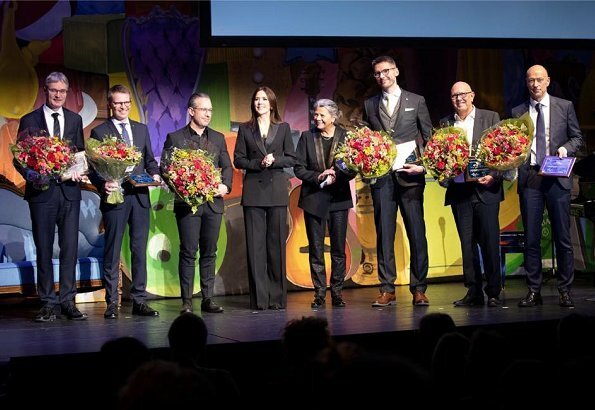 The award is 50.000 DKK. 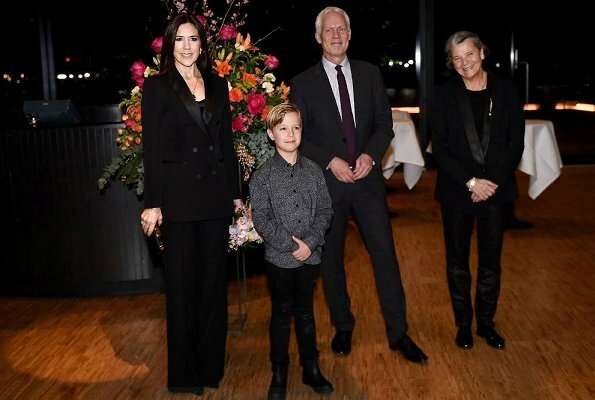 Gracious, she's working hard, wish Frederik will accompany her to these events. And the pant suit is so professional! she's killing it as usual!